In today’s market economy, aluminum foil products play a very important role in many industries, such as food grade aluminum foil, pharmaceutical aluminum foil, food container aluminum foil, household aluminum foil, etc. The china medical grade aluminum foil manufacturers are specialized in processing pharmaceutical aluminium foil for medicine packaging. The quality of packaging materials largely determines the quality of the packaging materials. The economic and use value of the goods sold. Here, we mainly introduce the alloy and product requirements of aluminum foil in medicinal packaging. Medicinal aluminum foil is used to package medicine tablets, capsules, pills, lozenges. 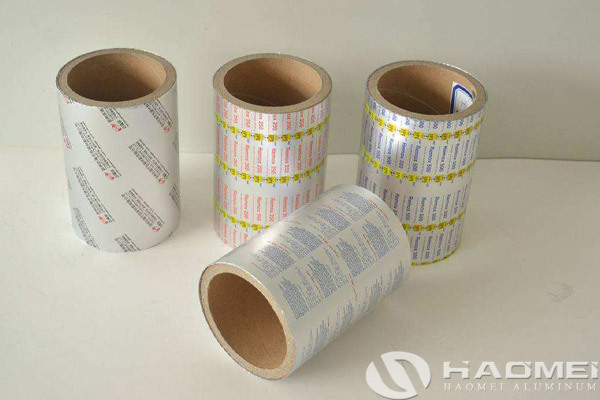 The common seen product are aluminum blister, alu alu blister, laminated aluminum foil film and so on. flat layout requirements, no black oil spots, scratches, small black silk, bright lines, roller print bumps, mosquitoes, etc. ; no pinholes, holes, pinholes must be abolished; cut side quality, no burr, tower type, enamel layer, ruffled edge, flanging, bumping and lighting phenomenon. China medical grade aluminum foil manufacturers are famous in the worldwide for the strict quality requirements, high processing efficiency, low cost and good after sales.